Love white pumpkins. I haven't taken the time this year to do much about autumn or decorating, but did buy two teeny orange pumpkins and a slightly larger white one, and the latter inspired me to make these cards. 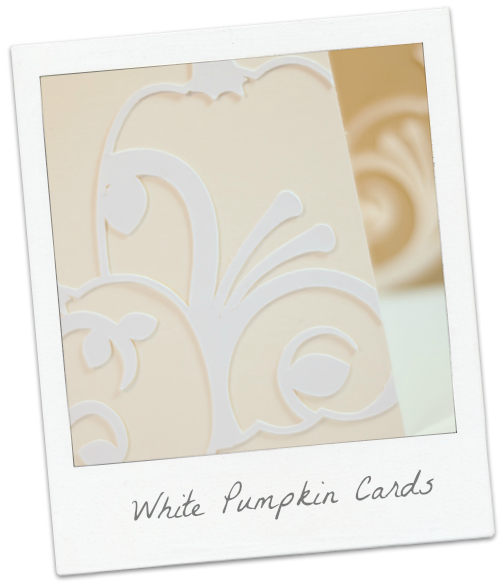 The lacy white pumpkins are a cut file from Silhouette. 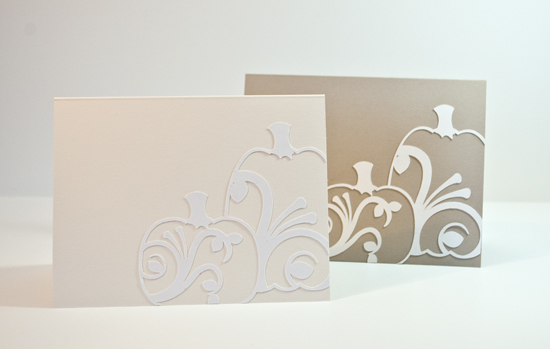 White on Cream and White on Unknown (not Kraft) cardstocks. Decided to enter the Cure for the Monday Blues Challenge, which you can find here. Here is the inspiration photo. It's a beauty. LOL! Your husband's comment is so funny! These cards are beautiful. 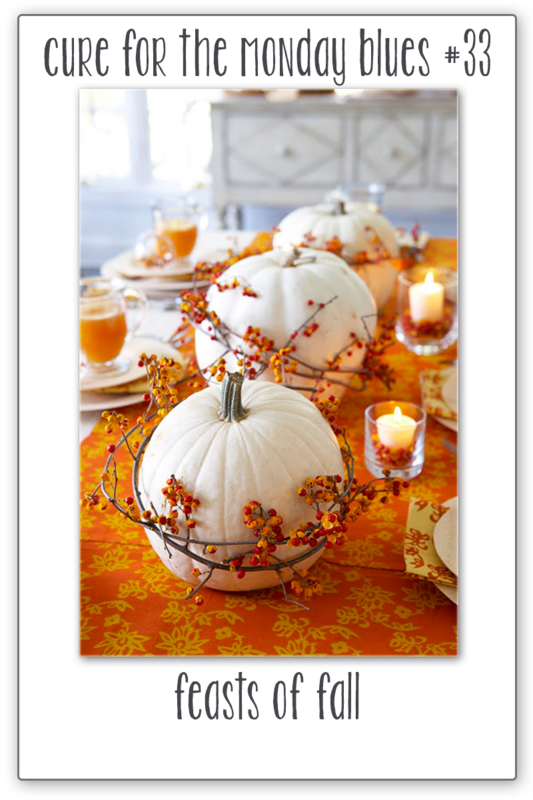 I love the white pumpkins, also. I love these and love that you're rockin' your cameo! Is the hubs sure these aren't your colors? Because they look pretty freaking awesome! Such an elegant look for fall! I know how your husband loves the bright colors, and I do, too, but I also love white on white and these are absolutely elegant! These are so elegant and beautiful. I laughed at your hubby's comments. I like the white on kraft card but the white on white doesn't do it for me. Usually I'm okay with it but I guess it doesn't go for pumpkins. Nice simple cards though. This is so beautiful and elegant! I love the light colors! Love the sophistication that white on white and that white with other neutrals have. The scrolly design is gorgeous! These are serene and elegant and lovely! I couldn't even decide which version I like better. Just stunning Jean. The white on the pale neutral base is so striking but so soft and beautiful at the same time! You really must be in tune with my challenges before they even post - let's see how you do with the next one! *wink* Thanks so much for playing to find a Cure For The Monday Blues!